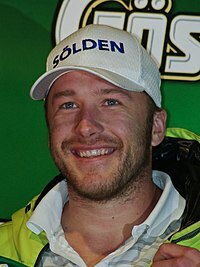 Samuel Bode Miller (born October 12, 1977) is a World Cup alpine ski racer with the U.S. Ski Team. He is an Olympic and World Championship gold medalist, and a two-time overall World Cup champion in 2005 and 2008. He is the most successful male American alpine ski racer of all time. This page was last edited on 23 March 2014, at 19:55.